All Americans have “civil rights”, not just women. Yet the U.S. Department of Education seeks to deny men our most sacred of protections from oppression–the right to testify on their own behalf, the right to representation, the right to witnesses; and the right to examine accusers. According to the Wall Street Journal, Assistant Secretary for Civil Rights Russlynn Ali, head of the Department of Education’s Office for Civil Rights (OCR), recently distributed a coercive letter discouraging universities from permitting persons [meaning men] accused of offending or sexually assaulting ”to question or cross-examine the accuser” during the hearing. In addition, any appeals process must be available to both parties—thereby subjecting the accused to double jeopardy. Worse, still OCR requires universities to use “a preponderance of the evidence”—no hard evidence required — the lowest possible evidentiary standard. Ms. Ali’s message: Comply or lose Federal funding. If there’s any gender inequality in universities the victims are men, not women. Universities typically have more female than male students, staff, and administrators. There are over 400 university Women Studies programs, a couple of Men’s Studies programs designed and operated by feminists, and not one “Male Studies” program designed and operated by people who care and respect males, though Dr. Edward Stevens, founder of the Foundation for Male Studies, has dedicated much of his life creating one. Courageously Nelson and Green assert that, “Sexual harassment and sexual violence are not only women’s issues. Too often addressing sexual harassment is seen only as a means of protecting women. As professors, we are concerned with addressing systemic gender inequities by educating both men and women about fairness and justice.” Statements such as those are not thought typical since our university systems have been imbibed with radicalized feminist ideology. To see two leading academicians extend such consideration is heartening and may indicate that academia may be getting fed up with the misandric rules and regulations that plague our institutions of higher education. Existing procedures for eradicating sexual harassment and sexual violence at universities has been and is exclusively directed at males, even though research shows or strongly suggests most intimate partner abuse among college students is perpetrated by young women – not young men. Moreover, examination of data from any major university will reveal that confirmed cases of either sexual harassment or sexual violence are almost as rare as male graduates with Master Degrees in Women Studies. Interestingly, neither Ms. Ali, the Department of Education, nor the AAUP mentions anything about holding false accusers accountable, which, of course, would chill many if not most accusations. Warren Farrell in his book The Myth of Male Power rightly said that males are disposable. Our institutions of higher education are so corrupted by radical feminist thought, influence, and power that even our professors and legislators acquiesce to virtually any initiative that strips males of whatever it is they may still possess, including their self-respect and especially their freedoms. The letter from the DOE is but another step in the process of disenfranchising men. Such hypocrisy borders on treason as national policy. 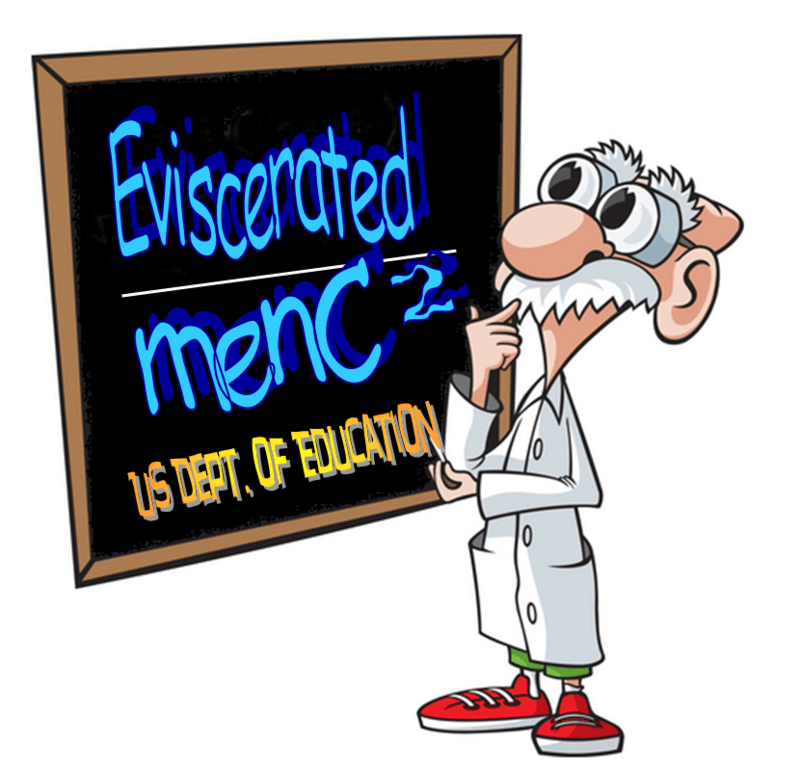 The misandric policies of the Department of Education need to be abolished in favor of equitable treatment for all, which includes due process procedures leading to findings of fact rather than wishy-washy predetermined ideological outcomes. The Secretary of Education needs to publicly retract her sexist policies and ensure due process and equal opportunity in higher education for all. Regardless, Secretary Duncan, Ms. Ali, and all involved in this scheme to deny men their civil rights should resign immediately. Clearly they have no respect for “civil rights” or education, regardless of gender. NCFM NOTE: You can send Ms. Ali an email. Here is her personal email address: russlynn.ali@ed.gov . Be polite please, she may be sensitive to criticism. There should be no coed campuses…. This is anti-men. We should demand all men universities and school, where men can get education without fear of false sexual accusations.